My two lasting perceptions of Manila Bay are good and bad; that it has the world's most beautiful sunset and it is home to the dirtiest port in the country. Elmo Magalona, who recently played the character of "Hiro" in his primetime soap "More Than Words", has the same image of Manila Bay on his head. So, for his 21st birthday, he is doing his own little way of saving it by participating in a cleanup drive along a portion of Manila Bay's coast. 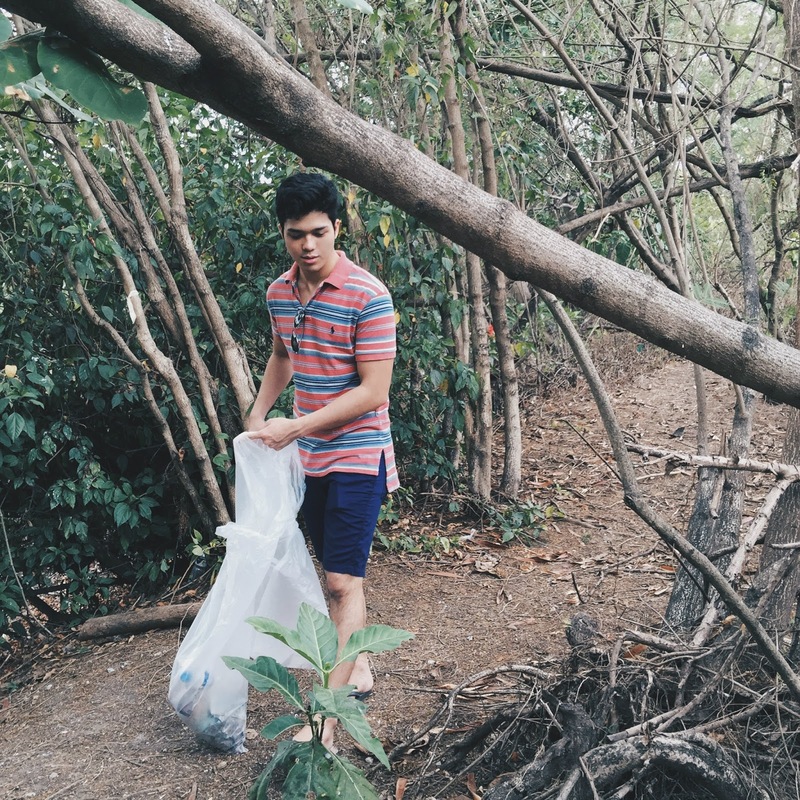 Elmo and his fans spent hours picking up non-biodegradable wastes at the Las Piñas- Parañaque Critical Habitat and Ecotourism Area (LPPCHEA). I was not aware that we still have this last piece of habitat for the endangered species inside Metro Manila. The LLCHEA is a 175- hectare zone which comprises a mangrove forest of eight species covering about 30 hectares; tidal mudflats extending about 114 hectares; secluded ponds with fringing salt-tolerant vegetation; a coastal lagoon -- and, amazingly, a beach area. What I learned is that the mangrove area here functions as a spawning ground, a sanctuary for many fish species and other wildlife. The National Fisheries Research and Development Institute said in 2012 that the eastern part of Manila Bay is a "hotspot" for fish spawning, or their way of laying eggs. But the reason why you should participate in protecting this area? LPPCHEA serves as a natural barrier against storm surges and high tides, as well as catchment area for floodwaters, reducing the risk of disasters in this part of Manila Bay. This came surprising to me since I found the area just 10 minutes away from SM Mall of Asia. For Elmo, the environment is one of the areas that he wants to focus on when he has the time for social work. I was with him when he fed close to 200 street children in Katipunan Avenue, Quezon City during his birthday last year. Now, he said, it would be the time to try to do something for the environment. Even if turning 21 calls for a coming-of-age huge bachelor party, Elmo chose to rather give back and spend time with his fans. "Manila is notorious for being super dirty but I am happy that we still have this area. I am thankful to DENR (Department of Environment and Natural Resources) for allowing us to enter here in this restricted area," Elmo said. In the future, the young Magalona is looking into planting more trees. "Nakukulangan na tayo (ng trees) dito sa Manila. Tree-planting is something that I also find fascinating."